Agreed, that was a ridiculous statement, as ever Morrissey has said something ill thought out, ridiculous and insensitive. I think it would be best if everyone just ignored him personally. I think it would be great if you could write a post/comment on why human life is intrinsically more valuable than that of any other animal. OK, seeing as you are the second person to ask, I will. BTW you’re not Ip5wich Town’s Matt Holland are you? Thanks for the reply. Look forward to seeing whatever you write. I will also try and write a post about it myself. Just surfed into this site, had to leave a comment. “What he is saying here is that the lives of the people who were murdered in the attacks in Norway are worth less than the lives of the chickens that KFC kill for food”. Is he saying this? I think he is saying that the number 97 is much smaller, absolutely and relatively, to the number of animals which need to be killed to supply food to McDonald’s and “KFS” every day. As a statement of fact, he is indisputably correct. Yes you do – whether it is more vaulable or not is a surely a personal opinion. I suspect that Morrisey felt a sense of outrage about the extensive coverage given to these 97 murders, when genocide ( of animals ) occurs on a much larger scale every day and goes unreported. This is, I beleive, the reason he chose to comment on it. Due to his sense of outrage at this “insensitive, crude and disgusting” reporting. 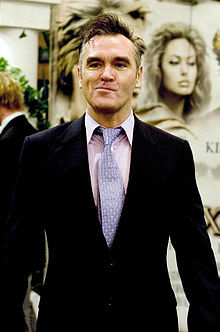 Morrisey’s views are “controversial” because they differ from you own and that of the majority of the population. Neither view has any objective truth to it. Just surfed on to this sight. Gareth Smith is as ignorant as the comments Morrisey makes. “Genocide” is an atrocity committed against a species based on religion, ethnicity, race, nationality or political/cultural beliefs. The term Genocide does not apply to killing a species for the purposes of sustaining a food chain, unless of course one breed of pigs for example decides to kill off a different breed purely to become dominant. Educate oneself as to the appropriate terminology to use in ones comments.